MetroSonic will proudly be presents another installment of Live@Metrosonic! 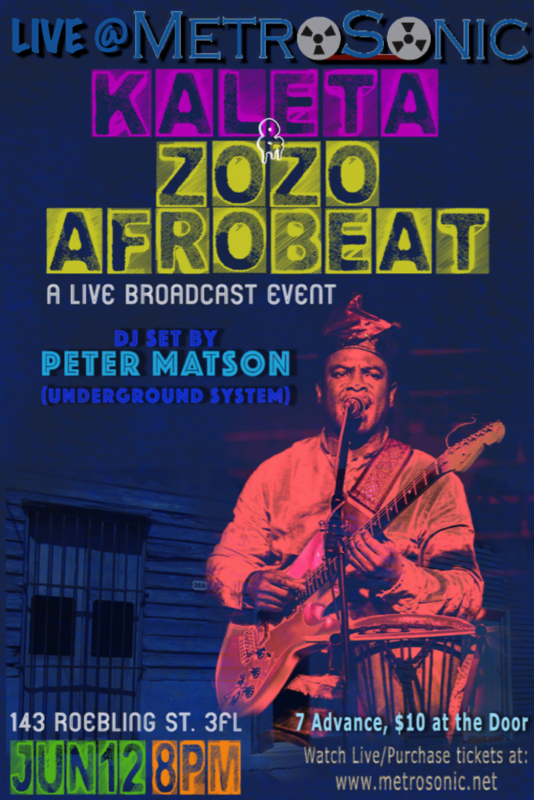 This time around we will be featuring the amazing sounds of Kaleta ft. Zozo Afrobeat, along with DJ sets from Peter Matson of Underground System, and an amazing contest for Indie bands! Kaleta is an artist that is truly taking the Afrobeat movement by storm and bringing it to the next level! Born in The Republic of Benin, Leon Ligan-Majek earned the name ‘Kaleta’ while mastering his musical skills. Relocating at a young age to near by Nigeria, Kaleta set out with the goal to play with one of his idols, King Sunny Adé and then soon after he played with the pioneer and creator of Afrobeat: Fela Kuti. Once again relocating to New York City, Kaleta put together and leads the band Zozo Afrobeat, who are at the forefront of the Afrobeat revival. Zozo Afrobeat (which is comprised of members from all over the world including America, West Africa, South Africa, Poland, and Spain) have made an art out of combining Benino-Nigerian rhythms with American Jazz and Funk! Backing this highly anticipated performance we will be welcoming DJ Peter Matson! 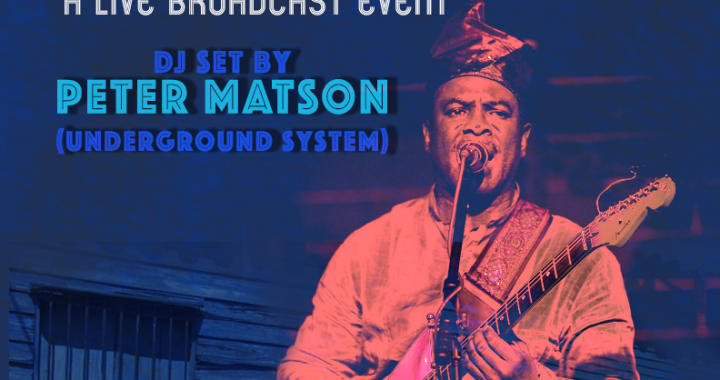 Matson is the cofounder and guitarist for Experimental Afrobeat band Underground System and is sure to be showcasing the best of what Afrobeat has to offer. We will also be presenting our Live@MetroSonic Video Contest! Throughout the night we will be playing the videos of our preselected finalists and having the viewers who are in studio and at home be able to vote for the winner and ultimately who would be winning a nice cash prize! If you’re saying to yourself “ what does he mean ‘viewers at home’?”, well that’s because Live@MetroSonic is broadcasted LIVE on YouTube and our Website so people around the world can be a part of the NYC night life! We here would LOVE to see you come, hang out, have a drink, and have a blast listening to some amazing music on a beautiful NYC summer night! Click here for Tickets and Directions to the show! Posted in Afrobeat, Artists, Dan Berg, Kaleta and Zozo Afrobeat, Live Shows and tagged Brooklyn, kaleta, Live, Live Event, live music, Live@MetroSonic, nyc, Williamsburg, zozo afrobeat.